He looks SO thrilled. Lol. awww. Yep not thrilled. I’d say the first clue is the roll of the eyes. 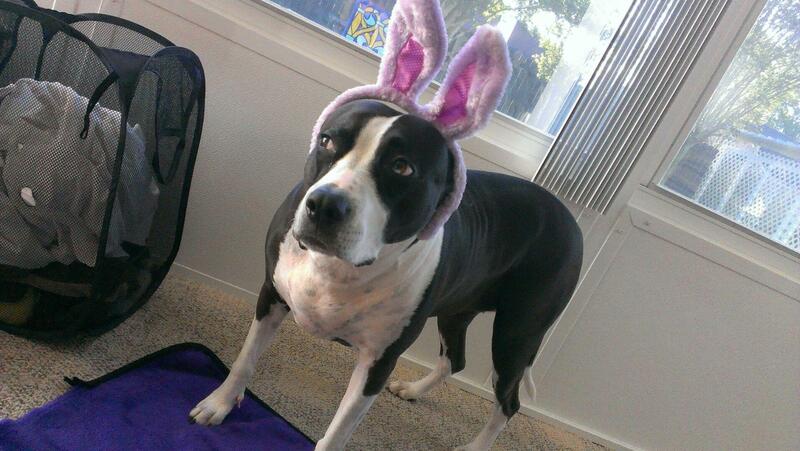 Looks like NO ONE is going to get to the Easter eggs before she says so! Poor dear.I laughed out loud at this.Thanks. Yep. Kya was not happy.